Eurocom Corporation (www.eurocom.com), a developer of long lifespan, fully upgradable Notebooks and Mobile Workstations is shipping the 11.6” EUROCOM Monster notebook with NVIDIA GeForce GT 650M, Intel Core i7-3820QM, 16GB DDR3 1600 memory and 1 TB storage. The EUROCOM Monster “achieves its goal of packing the most amount of power in the smallest package possible while still maintaining usability. Stuffing the latest Intel Core i7 quad-core processor and a powerful Nvidia GT 650M graphics card in an 11.6” chassis is no small engineering feat. Overall performance is outstanding for any task, especially gaming. 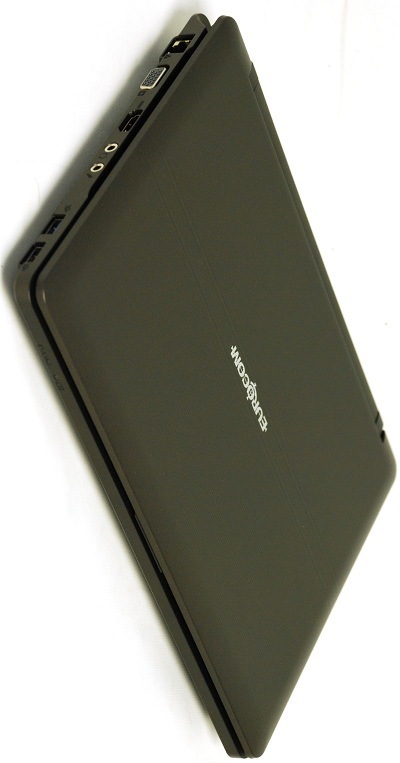 The W110ER (EUROCOM Monster) is a great travel companion thanks to its four pound weight and durable exterior… The four hours of battery life should suffice” Notebook Review.com. The EUROCOM Monster 1.0 provides an increased level of simplicity and functionality which users cannot get in a Tablet, Netbook or Ultrabook. With a full complement of IO ports, the EUROCOM Monster is far more functional than the vast majority of ultra portables on the market. EUROCOM Monster 1.0 users have an NVIDIA GeForce GT 650M graphics processor, with 2GB of video memory, 384 cores, with the graphics clock running at 850 MHz. This graphics powerhouse is the ultimate mobile gaming system. The Monster also supports NVIDIA Optimus technology for enhanced battery life combined with extreme performance. The EUROCOM Monster 1.0 combines the best of both worlds of power and performance with support for high performance Intel Ivy Bridge processors, up to Intel Core i7-3820QM with 4 cores, 8 threads, 8 MB L3 Cache running at 2.70 GHz with Max Turbo frequency being 3.7 GHz. Memory comes via two sockets, with support for up to 16 GB of DDR3 1600 memory. The EUROCOM Monster supports Solid State Drives, Hard Disks and Hybrid Drives, with support for up to I TB of storage, SATA 2 and SATA 3 storage devices. “The EUROCOM Monster 1.0 is the perfect system for individuals who live a fast paced lifestyle, who also require high performance computing. The EUROCOM Monster 1.0 is a lightweight system with over 4 hours of battery life, making it the perfect system for travelers, business professionals, gamers and students” states Mark Bialic, Eurocom President. Eurocom technicians have been testing and benchmarking the EUROCOM Monster 1.0 with various configurations and testing suites. This is done to ensure all of the published configurations function accordingly. Below is a selection of the testing that has been done.